There are many options available for end of year testing. Below are descriptions of the most common tests and a brief description of what they are like. Iowa is a mostly untimed test appropriate for homeschoolers k-12, it covers: Reading, Language Arts, Math, Science, Social Studies, and Sources of information. TerraNova is a timed test appropriate for homeschoolers Grades k-12, it covers: Reading, Language Arts, Math, Science, Social Studies. 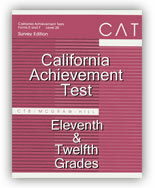 The Cat is a timed test that evaluates grades 4-12 and covers: Vocabulary, Comprehension, Language Mechanics, Language Expression, Math Computation, Math Concepts. Each of these sections have 20 questions. 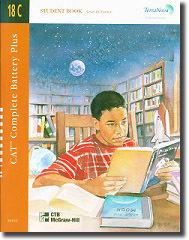 Stanford 10 Online is an untimed test appropriate for homeschoolers Grades 3-12, it covers: Reading, Language Arts, Math, Science, Social Studies.